Gerald Ishibashi of Stonebridge Entertainment has announced a concert event entitled “The Great Nisei Reunion,” to be held at The Aratani Theatre in Los Angeles on Sunday, Nov. 16. 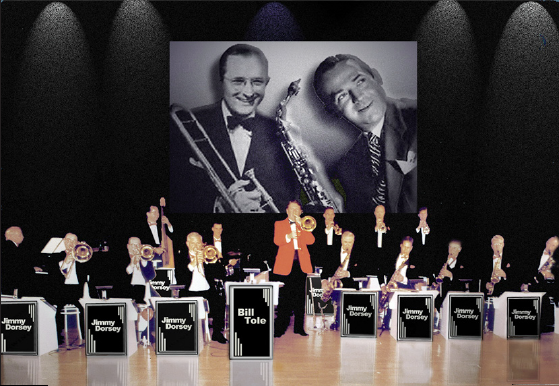 The concert, featuring The Jimmy Dorsey Orchestra and The Mills Brothers, with special guests The Island Crooners, will be a tribute to the Nisei generation. In addition, there will be a special bento lunch by Don Tahara of the Far Bar (formerly Far East Café) available for purchase prior to the show. The show will start at 2 p.m. at The Aratani, formerly the Japan America Theatre, located at 244 S. San Pedro St. in Little Tokyo. Ticket prices are $60 and $45. With the sentiment and pent-up demand for such an event, tickets are expected to sell out quickly. For tickets and information, call (310) 627-7272 or go online to www.StonebridgeEntertainment.com.